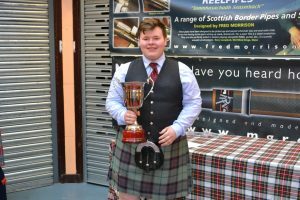 Saturday 8th April 2017, Kingdom Thistle Solo Piping, Drumming & Tenor Drumming Championships took place. 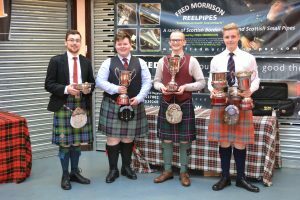 Another Successful event held today with the standard of piping, drumming and tenor drumming played at a very high level. 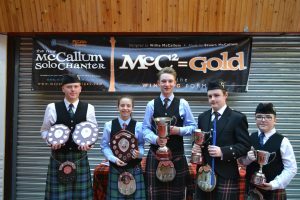 Congratulations to all the prize winners and thank you very much to all the competitors, parents & supporters who made the effort to travel to Lochgelly and have continued to support this event. 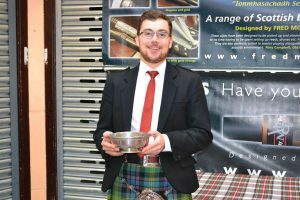 Kingdom Thistle is very much indebted to our event sponsors for their continued support. It very much appreciated. All the prize winners gaining a medal and a prize kindly donated by our sponsors. 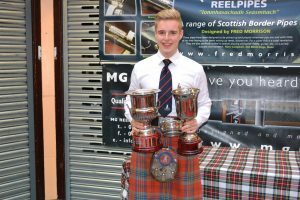 Today was also another first for Kingdom Thistle. We had a competitor from the British Army. 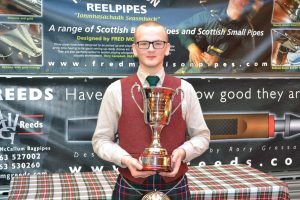 L/Cpl Jamie MacDonald 3 Scots,Royal Regiment of Scotland, Pipes & Drums of the Black Watch. 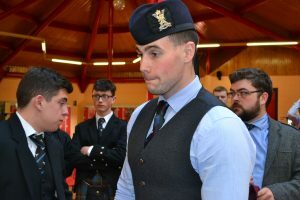 We would like to congratulate L/Cpl Macdonald who only last week successfully completed his Army Pipe Majors course at the Army School of Bagpipe Music & Highland Dance.